Chlorine dioxide, a water-soluble gas, is an extremely effective and powerful biocide that has been used since the 1950s, exhibiting antimicrobial properties over a wide spectrum of pathogens. Because of its failure to chlorinate organics, chlorine dioxide does not form harmful disinfection by-products. As a biocide, it is efficacious within a broad pH bandwidth. Unlike most of the harsh chemicals used for disinfection and sanitation, chlorine dioxide delivers superior results without any unwanted side effects. These and other characteristics make chlorine dioxide the 21st century alternative to traditional biocides used in sanitation and water treatment environments. Although chlorine dioxide and chlorine bear the word “chlorine” in their names, their chemistries and behaviors significantly differ. Unlike chlorine, chlorine dioxide does not need chlorination to perform its disinfection job. It works through oxidation (inactivation by electron exchange rather than chlorine atom exchange), penetrates bacteria cell walls and reacts with vital amino acids in the cytoplasm of the cell thereby killing the microorganism. Chlorine dioxide delivers the positive biocidal benefits of chlorine without any of the detriments and drawbacks known from chlorine. With chlorine dioxide there are no harmful disinfection by-products, fumes, odors, irritants, corrosion, explosions, hazardous handling, transportation and storage problems. Health and environmental issues caused by chlorine, like irritation of mucous membranes, eye and skin, and mutagenic problems, are eliminated. Chlorine causes well-documented environmental damage due to the creation of detrimental disinfection by-products such as trihalomethanes (THMs) and halo-acetic acids (HAAs). Organic material consumes chlorine and reduces its disinfecting capacity, so overdosing is a common practice, resulting in elevated levels of disinfection by-products. Viruses are immune to chlorine at normal dosage rates. Biofilm is not affected by chlorine either. Chlorine may be the least expensive chemical available, but as seen above, it comes with a heavy cost, especially in terms of human health and environmental footprint. Chlorine dioxide on the other hand, is eco-friendly, has no adverse effects on health, kills all known waterborne pathogens and strips the biofilm (the slime-like layer on the inner walls of pipes and water lines). Because chlorine dioxide is a highly selective oxidizer, its biocidal strength is not diminished in the presence of organics like fats, oils, proteins, body fluids etc. Besides chlorine, certain industries have been using conventional oxidizing and non-oxidizing biocides for disinfection and sanitation such as quats and peracetic acid. The disadvantages of these products are many and their disinfectant properties are limited by many factors. 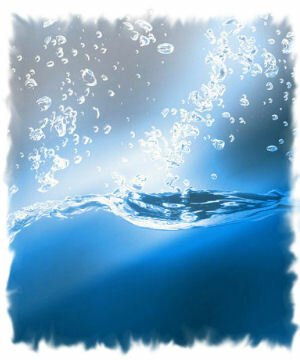 Peracitic acid and quats are only effective only in high doses, adding more chemicals to the water and the environment. Peracetic acid produces acetic acid, which is very useful nourishment for microorganisms. Therefore bacteria may even grow more after using peracetic acid. Unlike chlorine dioxide, there is a risk of immunity building when using these biocides. Consequently, their uses are often rotated involving high costs. This is no longer needed when switching to chlorine dioxide. For certain applications, such as Legionella control or food processing, chlorine dioxide is acknowledged as the Best Available Technology. Not having it as an integral part of your HACCP/risk management plan could be considered as negligence. Till date, the problem with using this Best Available Technology has been the mode and cost of generation. Now, Applied Oxidation has made using chlorine dioxide even for the smallest water systems extremely easy, user friendly and affordable.